They say the third generation usually blows it. But the Bracher brothers – part of the third wave of the Paspaley pearl dynasty – don’t buy the adage. “Over the past seven years, we’ve trebled the size of the business, and it’s just continuing to grow,” Michael Bracher says of the 83-year-old family company with reported annual revenue of $400 million. Two more stores are planned over the coming 18 months or so: one in Sydney’s CBD near Paspaley’s flagship store on Martin Place, and the other most likely in Queensland. 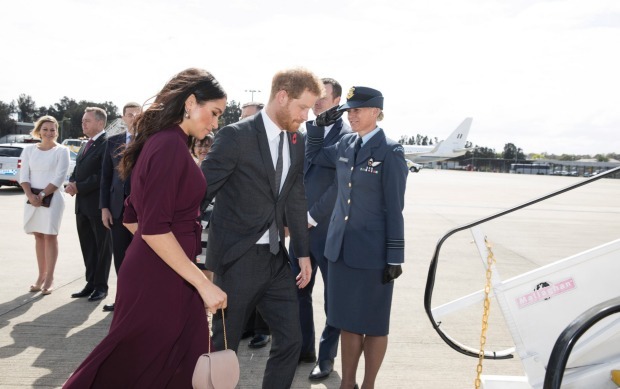 Meghan Markle, the Duchess of Sussex sported Paspaley’s lavalier earrings on Monday when she and Prince Harry left Australia for New Zealand. Both aged in their early 40s, Peter and Michael are the grandsons of Greek immigrant and pearl fisher, Nicholas Paspalis (senior), who changed his name to Paspaley, founding a company of the same name in 1935 in Broome. It’s Australia’s oldest and largest pearl operation, and is said to have the world’s largest stockpile of quality rare natural pearls from the Pictada maxima oyster. The brothers are executive directors and oversee worldwide distribution, while their sister Christine Salter is creative director of Paspaley retail. All three are based in Sydney and are the children of Roslynne Bracher, the second daughter of Nicholas senior, who had two other children – Marilynne Paspaley and Nicholas Paspaley (junior). Nicholas, Roslynne and Marilynne are the sole owners of Paspaley, and have ten children combined, six of whom work in the company. Along Roslynne’s three children, her brother Nicholas’s eldest son James is Paspaley’s CEO, while two of Marilynne’s sons – Chris and Nick – work in merchandising, and the pearling division respectively. Thus, in terms of official day-to-day roles, the third generation now well outnumbers the second. “My generation has been part of the current cycle of driving the design of more modern, contemporary pieces,” says Michael. “Once upon a time, people thought pearls were just for their grandmother. Pearls meant a beautiful strand – or three strand necklace. 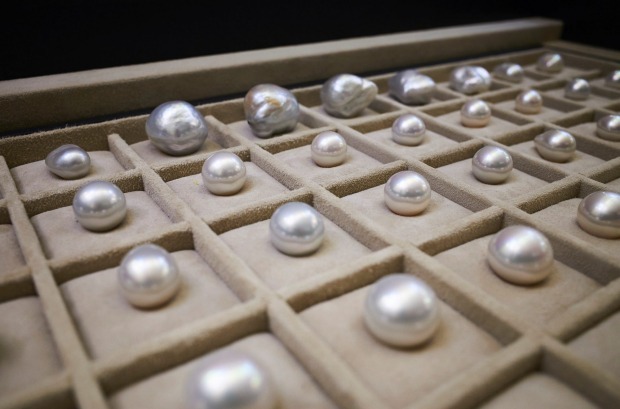 Inside the Pearl Room at Paspaley’s Sydney flagship store in Martin Place: treasures on show. Supplied. Perhaps none so outstanding though as the enduring “lavalier” design, which can be incorporated in multiple pieces, including as a pendant or earrings. The design involves placing the pearl in a threaded basket (made from gold), the genius of which is that the pearl doesn’t have to be drilled into a pendant or earrings, helping it retain its resale value. In a major win for Paspaley, , Meghan, Duchess of Sussex wore the brand’s lavalier Opal Hero Earrings, featuring two 12mm round pearls and diamonds, opals and rose gold, during the recent royal tour of Australia and the Pacific. They retail for $14,460. It was a strong start to the week, which also saw Paspaley launch its latest Monsoon collection – with pieces priced between $680 through to $1.2 million – in Sydney, Melbourne and Perth. Rich listers and Paspaley fans Gina Rinehart along with Paula and Lindsay Fox were snapped at the Melbourne event.